One of our rare After Matisse rugs for sale, this Standard size piece offered at 20% discount is a great way of purchasing Sonya’s iconic design at an amazing price. 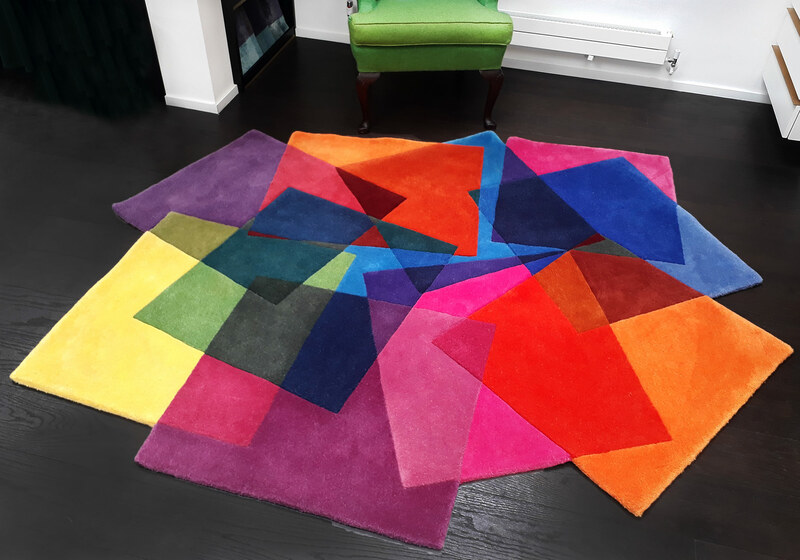 Our ex-display rugs have some imperfections, are sold as seen and non-returnable. 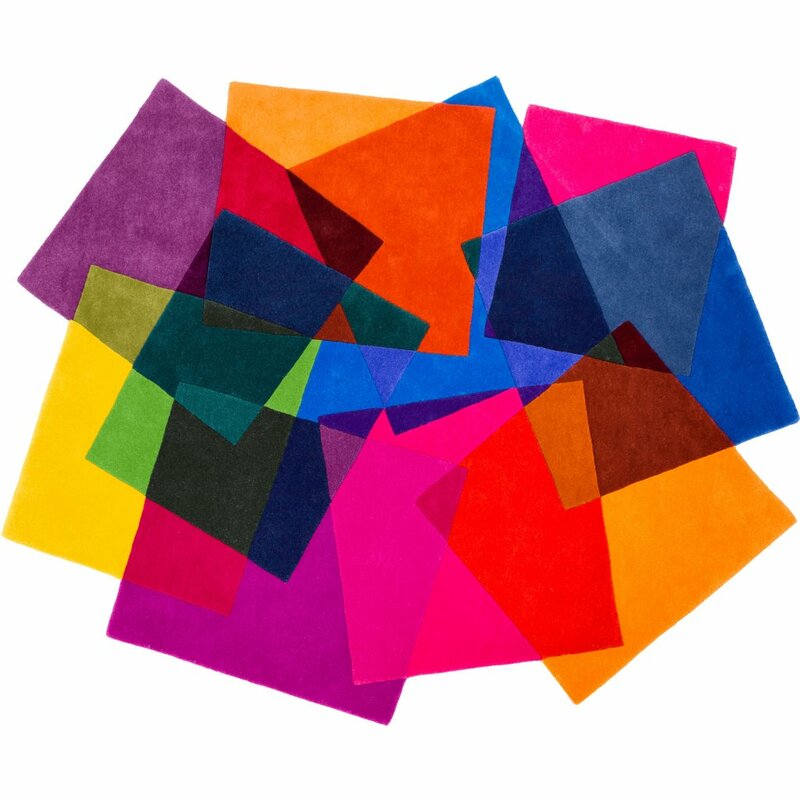 After Matisse is a vibrant uplifting piece of floor art and one of our most popular rug designs. The rug is entirely hand made by GoodWeave artisan weavers in pure high quality New Zealand wool. In this particular rug the colours are slightly less vibrant than in the original design, but still bright. This difference would only be noticeable if the rug is compared with an original After Matisse piece. Otherwise, by itself, the rug still looks colourful and bright. 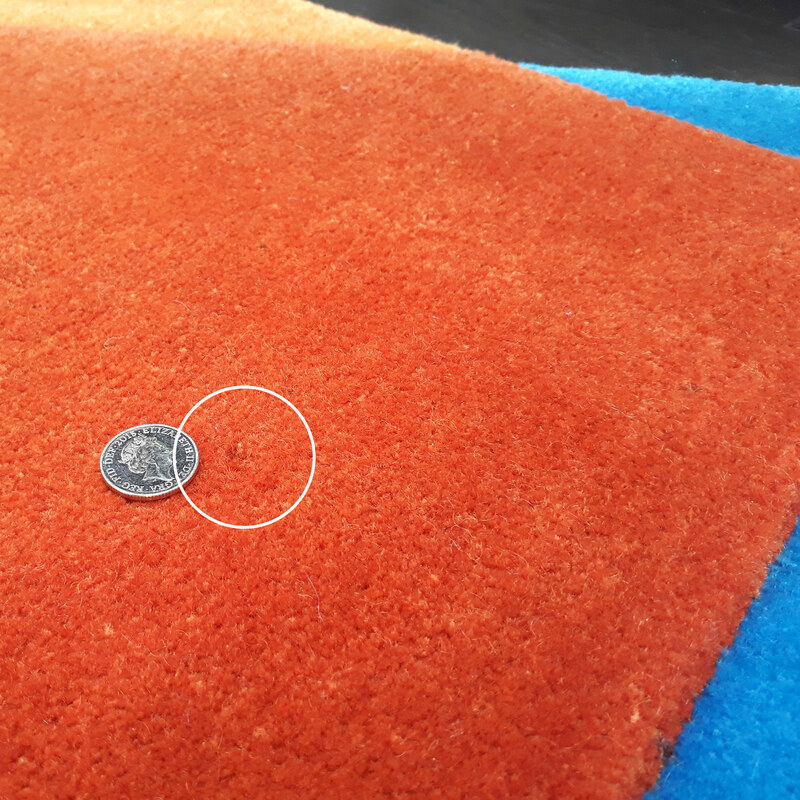 There are also a few small marks on two sections of the rug – the yellow and orange. 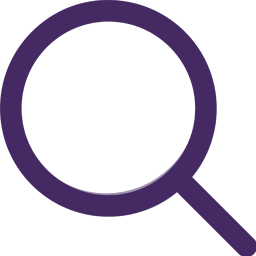 These are visible from close up, but not from afar. 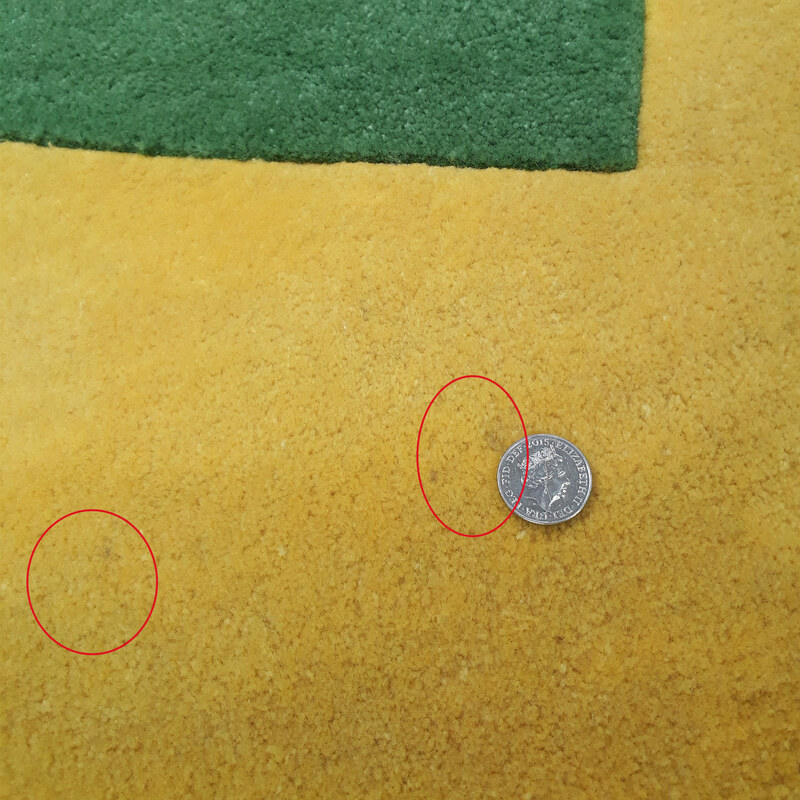 See detailed images of the condition of the rug at the bottom of the page. 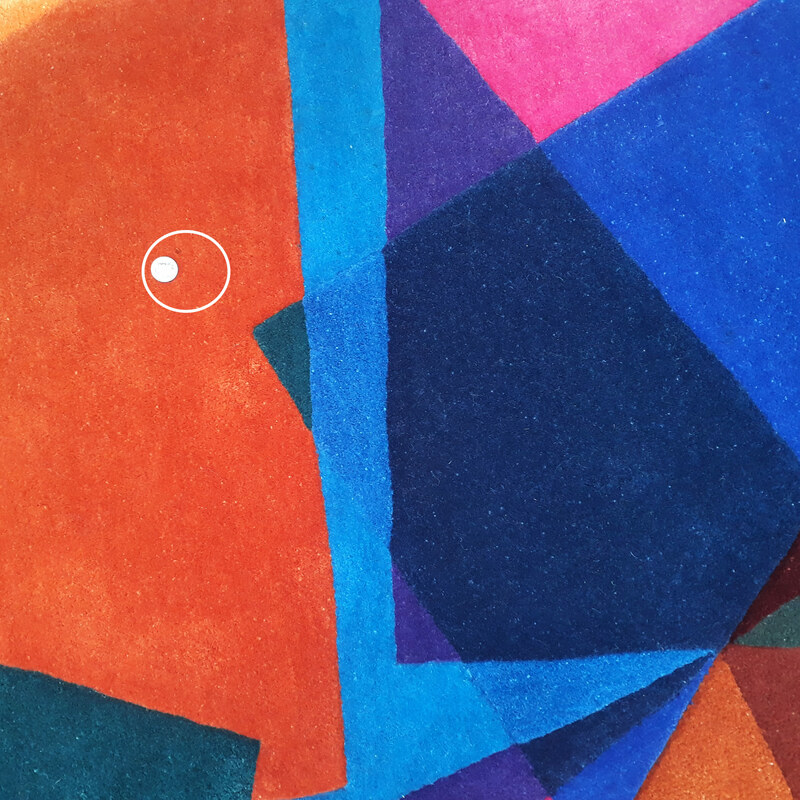 We created the After Matisse design from a collage of overlapping colours. In total there are 25 wool colours, which replicate the effect of transparent colours mixing together. Each of the smaller squares are overlapped to create a single area rug combing shades of blue, green, turquoise, yellow, orange, pink and purple. The effect of translucency can be seen in the aqua, turquoise, violet, rose and rust brown shades that emerge. This high quality designer rug is hand tufted in pure New Zealand wool by Good Weave artisan weavers. Handmade and hard wearing, this is an easily washable rug which can also be displayed as a wall hanging. Good morning (we are just starting our day on this side). Just wanted to let you know I received the rug and I am in love with it. It is so colorful and unique and it brightens me up just looking at it. It really completes the room. Thanks again for everything, the customer service was above any company I have ever worked with and the whole process was so fast that I didn’t even notice you were in a different time zone and an ocean away. My rug has safely arrived. It is, quite simply, beautiful. Thank you. Been raining all day and light a bit gloomy but my gorgeous Jellybean rug makes me feel so happy. As you can see the dog has already found it! I can’t remember if I sent you a picture of my After Matisse rug which is commented upon all the time. It is in the hall which, when the sun is out and on it first thing in the morning, creates a blaze of light! We view this unique rug in magazines. This is just what we were looking for. Ordered on Tuesday and it was delivered Friday. We remodelled our master bathroom and hands down this rug is the center pice that everyone comments about. In simple words, we love it. Thank you for this design and friendly services. 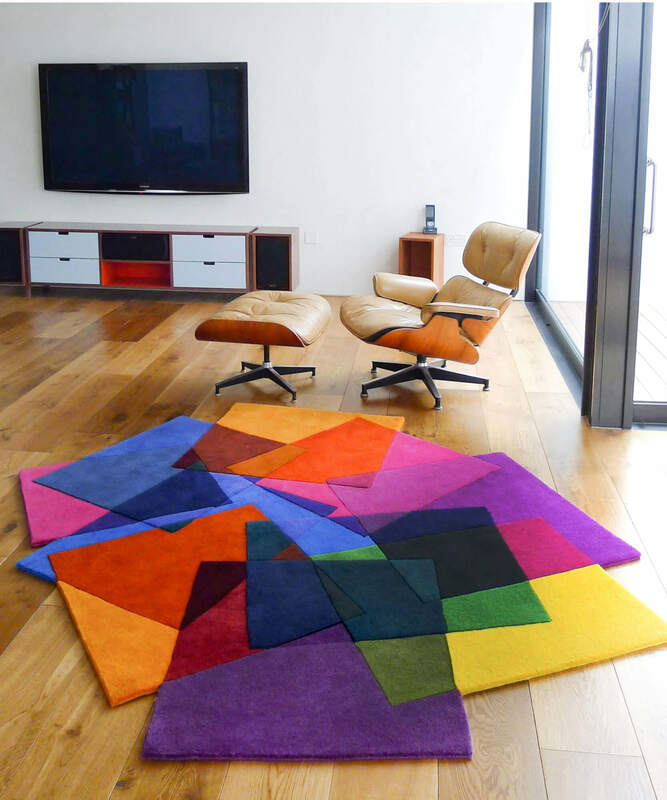 Rugs set on their places… We just love them! Especially my two kids who found them “colourful” (my daughter’s favourite colour) and “adorable strange shape” (the words from my son)! As for me: just like I have imagined for that place and I couldn’t find it this two last years! Simply perfect! Thank you for making my house just as comfortable as I could imagine! Congratulations on the kind of rugs you produce! Absolutely amazing! Talk about service! 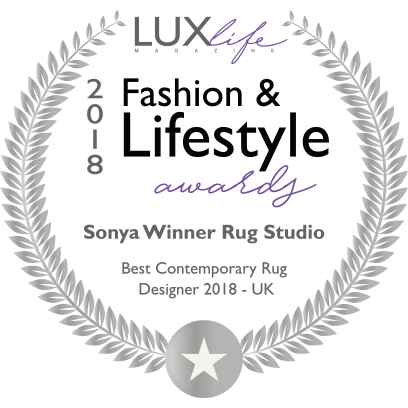 Our Sonya Winner “After Matisse” New Zealand hand knot wool carpet arrived yesterday in the early afternoon. It was shipped from London on Friday and arrived Monday!!! We couldn’t be more pleased with our choice and plan to order another carpet/runner down the road. What’s interesting about this carpet is the raised finishes which we hadn’t expected but it gives the carpet a more three dimensional look. And the burst of color fits perfectly. My husband finally moved into his new office, and I’m so pleased to show it off! This rug is absolutely perfect. We’re so pleased with it! Gostei muito do tapete e, também da “pontualidade britânica”… não é só para inglês ver… rsrs… Só gostaria de registrar minha surpresa do valor da taxa alfandegária, foi praticamente o valor do tapete!!!!!!!! De toda forma, amamos o tapete e ele ficou lindo na minha sala. Parabéns pela sua criatividade. Congratulations on your creativity!